Home / Contests • Featured / Contest Time! Win The Young Pope On DVD! The Epic Limited Series Starring Jude Law Comes Home June 6th! Contest Time! Win The Young Pope On DVD! The Epic Limited Series Starring Jude Law Comes Home June 6th! One of the most unique and interesting series that I’ve seen this year is The Young Pope. It stars the amazing Jude Law and Diane Keaton in two performances which should be on the top of any awards season list. It’s such a unique show and one that really looks at the Catholic church but is also about faith a and principles. If you haven’t seen the series, grab a Cherry Coke Zero (my drink of choice as well) and check it out. If you have seen the series, then I’m sure you understand my reference. Thanks to the fine folks at HBO Home Video we have two copies on DVD to giveaway! How awesome is that? Check out a little bit about the series below! 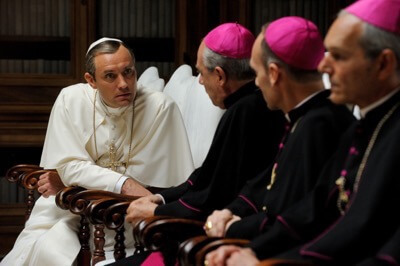 From Academy Award winner for Best Foreign Language Film, Paolo Sorrentino, the ten-episode limited series The Young Pope tells the fictional story of Lenny Belardo, a.k.a. Pius XIII, the first-ever American Pope and the youngest elected by the College of Cardinals. At first glance, Lenny’s selection over older and more experienced clerics – in particular Cardinal Spencer, a fellow American and Lenny’s mentor – seems part of a simple media strategy by Vatican elders, who no doubt expect the new Pope to toe the line and follow their lead. Instead, Pius XIII eschews the counsel of the Vatican’s Secretary of State, Cardinal Voiello, and enlists the woman who raised him, Sister Mary, to be his chief confidante. 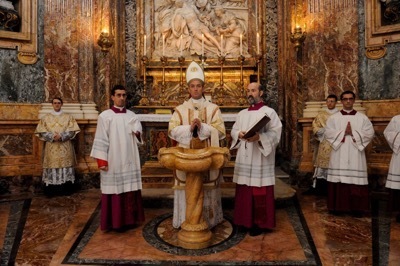 To the chagrin of Voiello and the PR reps who would market the handsome and charming young Pope, Lenny refuses to allow himself to be photographed, and he announces a series of severe, hardline initiatives that confound the Vatican status quo. 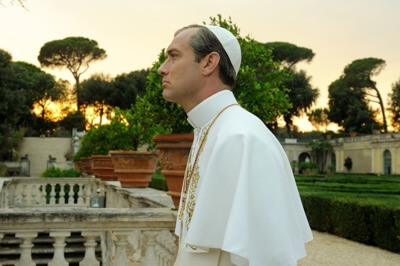 The Young Pope paints a portrait of a mysterious, complicated man fully aware of the contradictions and consequences of being the conservative leader of a billion followers in a changing world – but unwilling to bend in the execution of his duties. Now, like I said, thanks to the folks at HBO, we have two copies of The Young Pope on DVD to giveaway! Sound good? I know you want to win! Also check out The Young Pope on Amazon! Contest Time! Win A Comet Swag Pack And Check Out The App For The Films You Can Only See On The New Horror and Sci-Fi Network! Contest Time! Check Out The Powerful New Film 9/11 and Enter To Win A Gift Pack With A Hand Signed Charlie Sheen Poster! (ended) Mike The Fanboy Contest Time! Win A Hand Signed Autograph Photo From White Collar Star Matt Bomer! I love the variety of content! Game of Thrones! and the Sopranos! I like that HBO programming is always exploring new content. I love how they have so many different types of shows. I love John Oliver and Ballers.